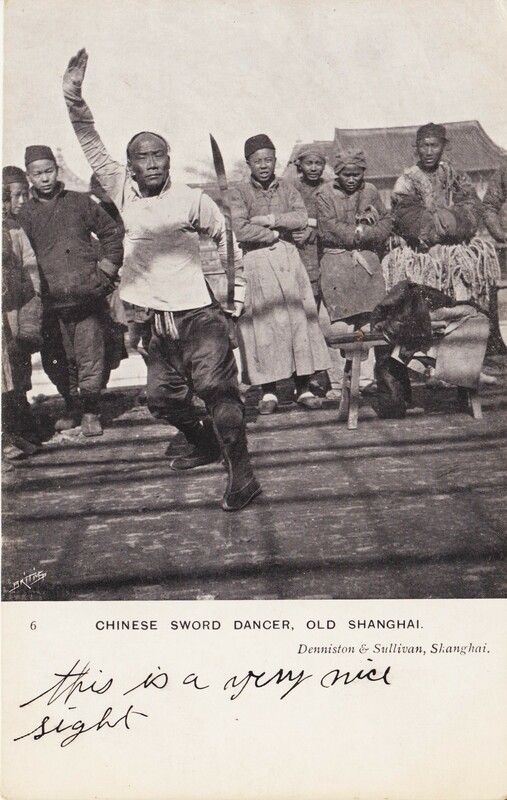 A Vintage Postcard showing a Shanghai Sword Juggler. Source: Benjamin Judkins’ Personal Collection. Welcome to the new journal Martial Arts Studies. Whether you are interested in the history, sociology, anthropology or cultural relevance of the martial arts, you are sure to find something of interest within our pages. Martial Arts Studies is a peer reviewed online open access journal that publishes the highest quality academic work on any aspect of martial arts studies. Its aim is to foster the most informed cross-disciplinary discourse on martial arts via the cross-fertilization of perspectives. As such, it encourages interdisciplinarity. The journal publishes both themed and open issues. All contents are subject to peer and editor review. The journal is co-edited by Paul Bowman and Benjamin Judkins, two scholars with a deep interest in the study of various hand combat practices. New issues of the journal are released every April and October. If you are interested in submitting a manuscript please see our call for papers. Click here to visit the homepage! Be sure to also visit the Martial Arts Studies Research Network to find more calls for papers and learn about upcoming conferences and events.